A peak at this awesome bike. 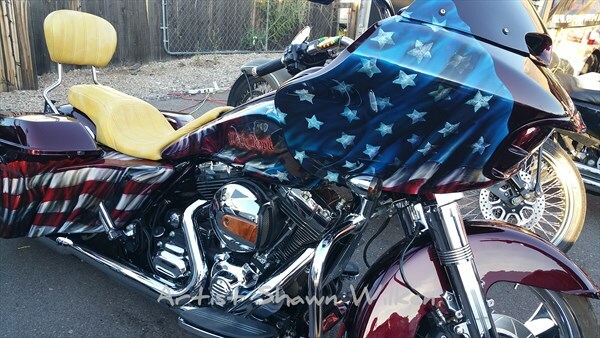 I was most honored to paint this motorcycle for a great man. He had a vision in his head as how he wanted it to look. took some time and really tried to listen to what he had wanted. the result was so cool.